Another month, another record. 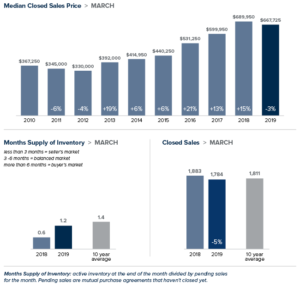 Despite a slight uptick in inventory that showed the highest level of active listings since last August, both King and Snohomish counties saw home prices in April hit all-time highs. 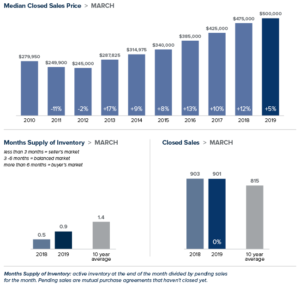 There is less than one month of inventory available in both counties, far below the four to six months of supply that is considered “balanced.” As long as the severe shortage of homes remains, improving supply is unlikely to reverse rising prices. With the median price on the Eastside hovering at just under $1 million, you’d expect a softening of the market. Instead, sales were strong at every price point. 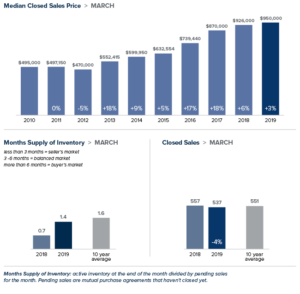 The median price of $943,000 was a slight dip from the record of $950,000, but up 7 percent from last April. That does show some price moderation. According to Windermere Chief Economist Matthew Gardner, mortgage rates are expected to increase modestly in the coming months, which he predicts should further moderate price growth. 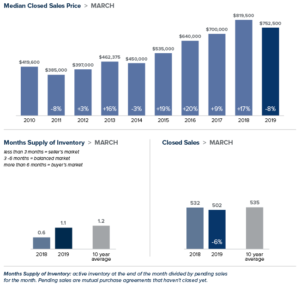 After setting a record in March, the median price of a single-family home in King County hit a new high of $725,000 in April. Prices soared 16 percent over a year ago, an increase of $100,000. The rising cost of both rental and home prices is taking its toll. According to a new study, 68 percent of King County residents rate the quality of life here as high but 35 percent said the cost of living is the worst problem in the county. The median cost of a single-family home in Seattle was $819,000, unchanged from March but up 13 percent from a year ago. There doesn’t appear to be any price relief in the near future. The booming job market in Seattle continues to fuel housing demand that far exceeds supply. As a result, home prices are predicted to rise at above-average rates in the coming year. In Snohomish County, the median price of a single-family home exceeded half a million dollars, setting a new record for the region. The typical home cost of $505,975 in April was up 15 percent over the same time last year. Despite record-setting prices, the area continues to draw buyers seeking to find more affordable housing options. Of the 100,000+ people who leave King County each year, the majority move to Snohomish County.